IAGOLD's Shareholder marketing of Essakane - "Since 2011, our company pursued a winning strategy to unlock shareholder value"
Lost livelihoods for artisanal miners in Essakane - Mamadou Dicko's hands are caked in mud after he emerges from his mine hole near Essakane. He used to make as much as $60 per day, but since the Canadian mining company Iamgold opened an open pit mine, he makes far less. Women in garden - MARCO CHOWN OVED/TORONTO STAR Essakane village women tend vegetables in the garden built by Iamgold. The garden is irrigated by an advanced, solar-powared system. The only problem is that people here have never eaten the tomatoes and eggplants they're being encouraged to grow. Courtesy of Toronto Star. View of Essakane from Above - In July 2010, the mine officially began its operations upon a site that now covers more than 1.5 kilometers end-to-end and penetrates more than 100 meters below the surface, making Essakane the biggest mine in West Africa. So called "socially responsible mining" only temporarily covers up elite capture of profits made possible by Burkina’s neo-liberal mining laws, leading to unrest in mining towns. (en français ci-dessous) The Essakane gold mine, owned by Canadian mining company ‘IAMGOLD’ is the largest of Burkina Faso’s mining operations. Located in the north of Burkina Faso on the Niger and Mali borders, the mine covers a territory of 100 square kilometers. At the time of its installation in 2009, the Essakane mine displaced 5 villages that had been engaged in livestock rearing, farming, and artisanal gold mining on the site. More than 16,000 people were displaced at Essakane over the course of the 3-year’s installation and expansion of IAMGOLD’s mining activities. The displacement process engaged primarily the male heads of household to explain verbally to this primarily illiterate population the process and procure their signatures (or finger prints in the case of illiteracy) for the displacement. According to the Ministry of Mines, 2,967 parcels were arranged with 2,090 new cement buildings (as opposed to the mud brick former habitations) constructed in the mine’s relocation areas. Those displaced were reported by the Ministry to have received 192,000 FCFA ($326) per hectare per year for five years as well as job training, school scholarships, and other alternative economic development projects. 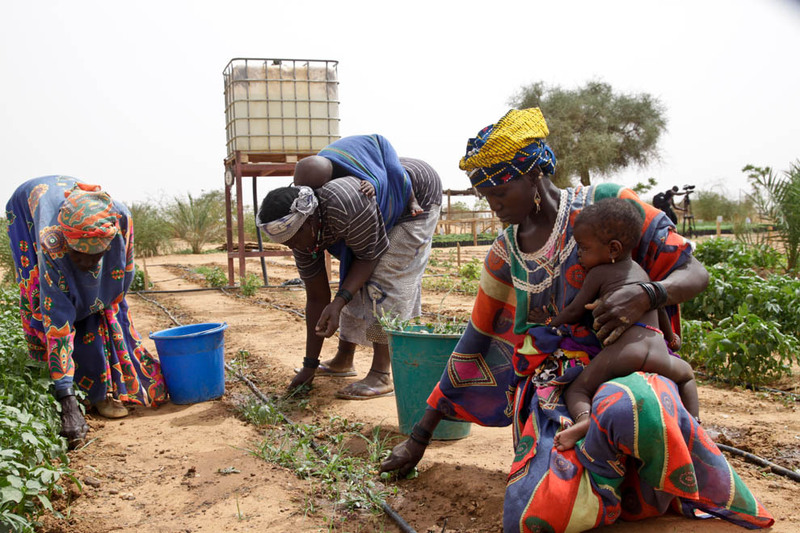 Supported by the mining company, women who had once been involved in artisanal mining now plant vegetable gardens and sell their produce to the mine (mostly because they do not incorporate these vegetables into their diets). The population was swift to accept what some perceived to be generous conditions for their movement, a fact that has prompted the Burkinabe government to cite Essakane as an example of social responsibility. Yet, despite this seemingly positive record, the company’s promises of jobs and growth were not met. “They said that they would take into account the costs of displacement, but finally, they provided only a token reimbursement of 15,000 FCFA to each villager the day of the move. The government didn’t do anything.” (Action du Careme Report). Traditional chiefs stated that the mine didn’t reimburse the community for common pastures and forests that were lost, representing a huge loss of compensation. Moreover, women were largely absent from the negotiations during the process of displacement. This created tensions between women and their participating husbands, especially once the women saw the location to which they were to be moved, which lacked fertile soil, water, and similar community arrangement of homes. In a report in which villagers were asked about the displacement process, many cited a loss of social capital, cohesion and community in the new location due to the loss of their neighbors. Others abandoned their cement houses due to the loss of work (artisanal mining). Perhaps most importantly, the villagers expressed that they could not refuse the exploitation, a fact that reflects the governments’ mining laws that negate local land rights in gold mining permit areas. Essakane’s earnings are approximately $500 million per year, yet a small fraction is reinvested in community development, which can only serve to appease the local populations who not only lost their land and gold mining rights, yet face a constant sense of betrayal based on the government’s inequitable laws promoting gold mining expansion ‘at all costs.’ Français: Le mine d’or d’Essakane, appartenant à la compagnie minière ‘IAMGOLD’ constitue de la mine le plus grand de tous les opérations au Burkina Faso. Située au nord du pays pas loin des frontières Nigérien et malien, le mine couvre un territoire de 100 kilomètres carrés. Au moment d’installation en 2009, le mine d’Essakane a déplacé 5 villages qui avaient été engagé dans le travail champêtre, l’élevage, et les activités minières artisanaux à petit échelle. Plus que 16,000 personnes ont été déplacées au cours des trois années pendant l’installation et l’expansion des activités minières de IAMGOLD. Pendant le processus de déplacement, la compagnie a engagé principalement les chefs de ménage homme pour expliquer oralement au populations dont beaucoup n’étaient pas alphabétisés, et procurer leur signatures (ou bien leurs empreintes) pour le déplacement. Selon le Ministre des Mines, 2,967 parcelles ont été arrangés en construisant 2,090 maisons en ciment (au lieu des maisons anciennes en banco) sur les lieux de déplacement. Suivant un rapport du Ministre, ceux qui étaient déplacés ont reçu 192,000 FCFA ($326) par hectare par ans pour une duration de cinq ans y compris du formation professionnel, bourses, et des projets de développement économique. Soutenu par la compagnie de mine, les femmes qui avaient été orpailleurs artisanaux se sont transformées en jardinières, et elles vendent leurs produits au mine (plutôt parce qu'elles-mêmes ne connaissent pas comment les incorporer dans leurs habitudes quotidiennes). La population a rapidement accepté ce que quelques personnes ont perçu d’être des conditions généreuses du déplacement, un fait qui suggère au gouvernement que Essakane servit comme exemple de la responsabilité social. During the period of structural adjustment in the decade of the 1990s, the mining code was adjusted to liberalize mineral investment, with the State retaining only 10% control over all mining ventures. According to the Mining Code established in 1997, the most important gold mining areas were designated as off-limits to artisanal mining, and some compensation was provided to indemnify miners (Gueye [no date]). Mining companies were reported by Northern Miner as ‘following artisanal gold miners’ as part of their strategy for expansion. 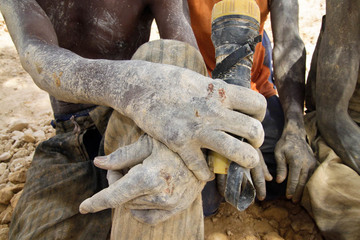 Yet, the absence of a formal pathway to obtain the Authorization de l’exploitation artisanale in Burkina makes informal miners highly vulnerable to private companies who can, at any time, claim to exercise their formal property rights (Luning 2008). The rewriting of the 2003 mining code brought in greater incentives for foreign investors including stability of the Conventions and reinforcement of fiscal advantages, including a 10% tax break. 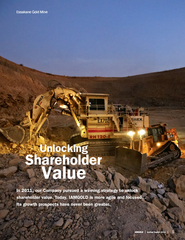 From 2004 to 2014, more than 700 research permits were granted and 9 mines were opened (8 gold mines, 1 zinc). Gold furthermore became the country’s premier export (surpassing cotton) with 30 tons/year being exported in 2012, bringing Burkina to the forth ranking African producer. The mining code was revised again in 2015 and its adoption was linked to requirements stated by the World Bank for the release of $100 million in budget support for the nation. The new code eliminates the 10% tax break on miner’s profits, obliging miners to pay into a local fund. The 2015 Code replaces 12-year-old mining regulations and focuses on socially responsible mining, which emphasized the somewhat controversially involvement of the mining companies in local development. 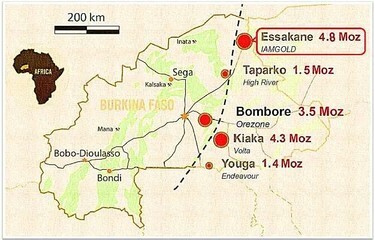 It is in the context of the 2003 legislation that the Canadian International African Mining Gold Corporation (IAMGOLD) began its exploitation of gold in Essakane. The company, whose headquarters is in Toronto specializes in open pit and underground mining, also practiced in Essakane. The mine uses cyanide and mercury to separate the gold from the rock (1 kilo gold = 140 kilos of cyanide and 700 cubic meters in water). The mercury evaporates in the open air and condenses, which can result in ambient pollution of soil and waterways, as well as those living in or around the mine. Yet, the conflicts related to the Essakane mine are related less to the pollution and related health problems, but rather to the failures of the mine and the government to fulfill their promises and responsibility of economic development of theses gold-rich territories. In July 2010, the mine officially began its operations upon a site that now covers more than 1.5 kilometers end-to-end and penetrates more than 100 meters below the surface, making Essakane the biggest mine in West Africa. The potential annual earnings from the Essakane site is nearly $500,000,000 (Oved 2014). Of this only 2% (a potential of $10 million for the Essakane site) is required by law to be used in local development projects by the companies. To praise Essakane’s strong efforts of community development, the Chambre des Mines aired an hour-long promotional video on the national television (see https://www.youtube.com/watch?v=-jUcTpa3zzE). The video stated that IAMGOLD invests 2 billion FCFA or $3.4 million each year in the Essakane site’s local development, far below the amount required by the law. Moreover, work in the mine is scarce for unskilled, uneducated community members, which has sometimes evolved into violence. Less than half of IAMGOLD’s two thousand Burkinabe employees are from the Essakane province, and only 16% originate from the nearby villages (368 jobs for 16,000 displaced people). The situation for especially artisanal miners, who lost the most productive gold deposits to the formal mining operation, has significantly deteriorated, such that some have lost hope. “It’s too late for me [to work in the mine]. I want my kids to get a job at the mine. I don’t want them working in the holes (artisanal mining sites) — it’s too hard and too dangerous” (Oved 2014:1). On July 31, 2015, local citizens vandalized the fences and burned a machine at the Essakane mine, triggered by the non-renewal of DYMNATI, a locally-trained security guard company’s contract. Local police forces arrested the vandals, who included the former mayor of Falangoutou (a nearby community), Abderrahamane Maïga (Ouattara 2015). The population’s statement to IAMGOLD stated, “The [decision to end DYMNATI’s contract] respects neither the spirit nor the letter of the local political promises by Essakane SA (IAMGOLD’s local affiliate company)” (Nombre 2015). As stated during the 13-hour hearing in the correctional tribunal in Dori, the purpose of the protest was to convince IAMGOLD to be more favorable to local employers, with a strong focus on recruiting young people from the Sahel region. This event was followed by several acts of charity and community development from IAMGOLD. On 28 December 2015, IAMGOLD gave a male and female goat and a sack of goat feed to 241 vulnerable households. Such ‘gifts’ provide a short term solution for communities that never chose to have a mine and are not consulted prior to the establishment of the concession. Français: Pendant la période du programme d’ajustement structurel au décennie du 1990s, le code minier avait été réformé pour libéraliser les investissements miniers, avec l’état conservant seulement 10% du contrôle sur les intérêts miniers. Selon le Code Minier établi en 1997, les mines les plus importants sont devenues inaccessibles aux mineurs d’or artisanaux, et de la compensation était fourni pour les indemniser (Gueye [no date]). Le journal Northern Miner a cité les sociétés minières comme ‘ceux qui suivent les mineurs artisanaux’ à provenir leur stratégie d’expansion. Tandis que les mineurs artisanaux manquent une voie formelle pour obtenir l’Autorisation de l’exploitation artisanale au Burkina, ils sont fortement vulnérables aux décisions des sociétés privées qui pourraient, a tout moment, exprimer leur droits foncières (Luning 2008). Écrivant le Code Minier en 2003 a amené plus des avantages pour des investisseurs étrangers, y compris la stabilité des Conventions et le renforcement des avantages fiscales, comme une exonération d’impôt de 10%. Entre 2004 et 2014, plus que 700 permit de la recherche était accordé et 9 mines ont été ouvert (8 mines d’or, 1 zinc). L’or désormais est devenu l’export principal (en dépassant le coton) avec l’exportation de 30 tonnes par en 2012, amenant Burkina comme producteur Africain au quatrième rang mondiale. Le code minier a été révisé encore en 2015, ce dont était une condition du Banque Mondial pour qu’il relâche des fonds budgétaires de $100 mille pour l’état Burkinabè. Le nouveau code a éliminé l’exonération d’impôt de 10% des revenues des sociétés minières, ce qui devrait contribuer à un fond du développement local. Le Code de 2015 essentiellement remplace une régulation a l’âge de douze ans et mets point sur la responsabilité sociale des sociétés minières, en soulignant la participation controversée des sociétés minières au développement local. Il est dans ce contexte de la législation de 2003 que le société IAMGOLD Corporation ont commencé leur exploitation d’or à Essakane. La Société, avec son siège à Toronto, spécialisés aux mines de ciel ouverts, aussi pratiqué en Essakane. Le mine utilise cyanure et mercure pour séparer l’or du rocher (composant d’un kilo or est égal a 140 kilos du cyanure et 700 mètre carré de l’eau). Le mercure s'évapore en plein air et condense, ce qui pourrait conduire à la pollution ambiante du sol, de l’eau courant, et des habitations autour de la mine. Il n’y a aucune étude depuis le début de la mine qui montre les effets de la pollution. Et, pour le moment les conflits relatifs à la mine d’Essakane sont relatif aux conditions du travail et l’échec du gouvernement à répondre au promesse du développement économique dans ce territoire riche en or. 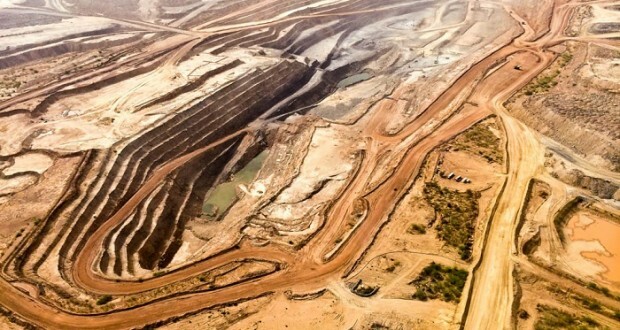 En juillet 2010, la mine a officiellement commencé ses opérations dans un site qui couvre maintenant plus que 1,5 kilomètre de la surface et pénètre plus que 100 mètre sous terre, faisant Essakane la mine la plus grande en Afrique d’Ouest. Essakane gagne potentiellement presque $500 million chaque année (Oved 2014). De cette somme, la société d’Essakane est obligé par la loi à dédier seulement 2% (potentiellement $10 million) aux projets du développement local. Faisant l’éloge aux efforts du développement communautaire de la société, le Chambre des Mines a tourné et diffusé un vidéo promotionnel d’une heure au télévision national (voyez https://www.youtube.com/watch?v=-jUcTpa3zzE). Le vidéo a déclaré que IAMGOLD investisse 2 billion FCFA ou $3,4 million chaque an aux villages autour du site d’Essakane - loin de ce dont la loi oblige. En plus, il y a un manque du travail dans la mine pour les locaux qui sont an-alphabétisés et non qualifié, ce qui ont évolué de fois en mécontentement et, plus rarement violence. Moins de la moitié des 2.000 employées de IAMGOLD ressortissent du département d’Essakane et seulement 16% sont originaire des villages environs (368 boulots pour les 16.000 personnes qui étaient déplacés). La situation spécifiquement pour les mineurs artisanaux, qui ont perdu les gisements d’or les plus productifs aux opérations de la société, a considérablement détérioré, pour que quelques-unes ont perdu de l’espoir. « Il est trop tard pour moi [à travailler dans la mine]. Je veux que mes enfants travaillent à la mine. Je ne veux pas qu’ils travaillent dans les trous (exploitation artisanal) – ceci est trop dur et trop dangereuse » (Oved 2014:1). En Juillet 31, 2015, un groupe des citoyens locales ont vandalisés les clôtures de la société et ont brûlé une machine dans la mine, résultat de la non-renouvellement du contrat d’une société de sécurité locale DYMNATI qui a reçu leur entraînement à travers du projet du développement de la mine. Les polices locales ont arrêté les vandales, incluant l’ex maire de Falangoutou (une communauté riverain), Abderrahamane Maïga (Ouattara 2015). La population a réclamé que « la décision [d’annuler le contrat de DYMNATI] ne respect ni l’esprit ni la lettre des promesses locales de la société d’Essakane SA (l’affiliâtes de IAMGOLD) » (Nombre 2015). Comme décrit pendant une audience de 13 heures au tribunal de correction à Dori, l’objectif de la manifestation était à convaincre IAMGOLD d’être plus favorable aux employeurs locaux, en mettre point sur l’engagement locaux de la région du Sahel. Suivant cette manifestation, IAMGOLD ont livré quelques actes de la générosité aux membres de la communauté. Par exemple, le 28 décembre 2015, IAMGOLD a fourni des chèvres et du fourrage aux 241 ménages vulnérables. Ces actes offrent une solution a courte terme pour la communauté qui n’a jamais choisi d’installer une mine à Essakane et ce dont n’a jamais été consulté par rapport de son installation. To assist in conflict mitigation, NGO ORCADE shares information and understanding such that the community can avoid misunderstandings and avoid conflict, favoring dialogue. They express that the community claims that the mine has been harmful to their livelihood and negligent in social conditions in the communities surrounding the mine. With ORCADE’s support in negotiations, Essakane may be able to move forward in trying to get something out of the process. Français: L’ONG ORCADE partage les informations pour aider la communauté à comprendre comment mieux éviter les mal compréhensions et du conflit, en favorisant le dialogue et assistant de prévenir du conflit. Ils expriment que la communauté a revendiqué que la mine est nuisible aux moyens de vivre de la communauté et qu’elle néglige les conditions sociales des communautés autour de la mine. Avec l’appui d’ORCADE aux négociations, Essakane pourrait mieux avancer pour obtenir quelque chose de cet procès. Why? Explain briefly. The suppression of disgruntled workers and reduction in employment in the zone has only maintained the status quo in the village. It is clear that the human rights of those living around Essakane are not respected, despite the provision of some campaigns for development. Luning, S. 2008. Liberalisation of the Gold Mining Sector in Burkina Faso. Review of African Political Economy. Volume 35, Issue 17. Gueye, D. (no date). ETUDE SUR LES MINES ARTISANALES ET LES EXPLOITATIONS MINIERES A PETITE ECHELLE AU BURKINA FASO. International Institute for Environment and Development. Essakane village women tend vegetables in the garden built by Iamgold. The garden is irrigated by an advanced, solar-powared system. The only problem is that people here have never eaten the tomatoes and eggplants they're being encouraged to grow. Courtesy of Toronto Star. Lost livelihoods for artisanal miners in Essakane Mamadou Dicko's hands are caked in mud after he emerges from his mine hole near Essakane. He used to make as much as $60 per day, but since the Canadian mining company Iamgold opened an open pit mine, he makes far less. View of Essakane from Above In July 2010, the mine officially began its operations upon a site that now covers more than 1.5 kilometers end-to-end and penetrates more than 100 meters below the surface, making Essakane the biggest mine in West Africa.